A 97-year-old Auschwitz survivor hopes to take German public broadcaster ZDF to Europe's top court for calling Nazi camps "Polish", his lawyer said Wednesday. The announcement is the latest development in a dispute that started when ZDF - while publicizing a 2013 documentary - described the Nazi-German death camps Auschwitz and Majdanek in occupied Poland as "Polish extermination camps." The issue is highly sensitive in Poland, which this year passed a law to penalize statements that ascribe "responsibility or co-responsibility to the Polish nation or state for crimes committed by the German Third Reich." After complaints from the Polish embassy, ZDF corrected the wording of its trailer and later repeatedly apologized, but a Krakow court in 2016 ruled that it must publish a specifically-worded apology on its website. Germany's Federal Court of Justice, however, on Tuesday said that the Polish ruling against ZDF had no legal force in Germany, adding that the "exercise of state coercion to publish the preformulated statement... would manifestly violate the defendant's right of freedom of expression." Now, in response to the German court's ruling, Polish citizen and camp survivor Karol Tendera plans to ask Poland's Supreme Court to request a preliminary ruling on the matter from the European Court of Justice. His lawyer Lech Obara said the German court's ruling was a "flagrant negation of the act of recognizing and enforcing judicial rulings made in other EU countries," as quoted by the Polish news agency PAP. Polish law originally provided for punishment of up to three years in jail for ascribing responsibility for Nazi crimes to the country but Poland amended the law in June to remove criminal penalties following heavy criticism from Israel and Jewish communities. Israel was concerned the original legislation could allow Holocaust survivors to be prosecuted for their testimony on the involvement of individual Poles in killing Jews or betraying them to the Germans. 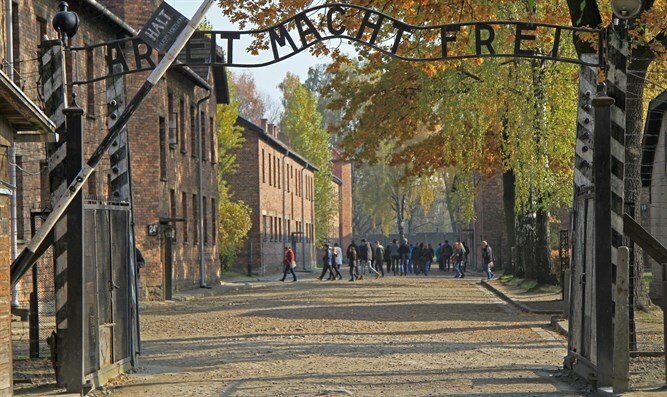 The main aim of the legislation was to prevent Nazi-German death camps in Poland, such as Auschwitz-Birkenau, from being described as Polish. Poland was occupied by Nazi Germany during World War II and lost six million of its citizens including three million Jews.